The Golden Thread - View topic - Stalin & the little known History of Communism. Stalin & the little known History of Communism. Stalin is responsible for the murder 20,000,000 of his own citizens by the end of WW2. "The Butcher of the Urals" (as he was known) was a famous murderer & train robber before his infamous 1916 meeting, in Switzerland, with the Elite & Mordachai Levi & David Brownstien (aka Carl Marx & Leon Trotsky (respectively)). They had just come from America with $ 3,000,000 of Rockefeller money after Trotsky finished his season playing a "Workers Revolutionary" on broadway & Marx had finished writing the Communist Manifesto. Joeseph Schiff was also on-board, as financiar & high-level Rothschild insider. The English actually captured their ship & the money, in the Atlantic & were threatened, by the Elite, with America ceasing all involvement in the war. The Poms released Marx and his cronies, and the money, to make their meeting with the elite & Stalin, in Switzerland. The debt to the Romanovs was a blood debt that the elite never forget. The Tsars ancestor, Alexander I, had thwarted the elites "League-of-Nations" plans after the Napoleonic wars. The Tsar & his family were murdered (blood-debt paid, 100 years late), & Communism began the longest, most murderous reign in Russian history. Re: Stalin & the little known History of Communism. I watched a show on this the other day called "Cities of the Underworld" or something like that. In this show they showed the russian subway system and the old cold war bunkers etc. This can become quite an informative thread for thr GT record. Communism has interesting roots Trex. You aware of what Kazar Jews are? Also - the communist manifesto has roots in the Protocols of Zion. Marx was guided by the secret Priory. I have an archived story on this - will try find it. Intersting L2L, I'll look "Cities of the Underworld" up and see if I can get a copy to watch. Yes, Sky. I have Studied the Khazarian Empire quite extensively, and I agree that the taint of the Protocols of Zion can be smelt on many of the horrific stories throughout history. I believe the strings of Russian history have always been pulled by the Khazakian elite. The Khazar Empire of 1000 years ago, were extremely powerful and rumoured to have access to advanced weaponry unheard-of since the original Roman invasion of Scotland was fried. (Archeological evidence of energy weapons used in Scotland, at the time, has been found and analysed. There is even a National Geographic show about this mystery.) Hadrians wall was built as Scotland was "off limits". Scotland later enjoyed the "special protection" of the Roman Catholic church, as it was "Gods favoured land". This later allowed the Scots to establish their devine rights of Kingship, prior to the United Kingdom being proposed by a Scottish "Masonic" king. During the fall of Carthage, Jacob took an Carthagian princess & Abrahams stone, (The Stone of Scone) to Ireland, where he met up with the Tuatha De Danaan & established a forward base. The princess married the King of Ireland. I believe one of the purposes of these advance settlements was to obliterate & obscufate any ancient evidence, or Atlantian technology. (a-la-the-Libary-of-Alexandria). In the case of Ireland, the destruction of the last "non-Illuminati" Atlantian settlement of Hi Brasil; which sank, or was caused to sink. (Just west of Ireland - can be seen on Google Earth). The Tuatha De Danaan did not come from Ireland, but were part of a military campaign from Norway (Asgaard), who came via "miraculous" flying ships and brought 3 technologies quite famous in the legends. A laser sword which could cause mass-destruction of an enemy. A sheild that would protect an entire army & a food replicator that would feed an entire army. (Only the stone-of-scone survived and is now in the coronation chair of the Royalty of England. I presume the other technology went back into the hands of the 33 families of the reptillian bloodline.) The mission was to kill off all the giants and other hybrids (such as the "Pan" creatures), & any other "abominations" left-over from their survival of the Great Flood. Surviving Atlantean weaponry was rarely used, and only for critical points of the Grand Deception, where it was absolutely necessary. Much like Atomic weapons. The Turkish empires of Pagan, Islamic, & Ottoman secular rule have always avoided the Khazarian Empire after having their arses kicked & their troops decimated. The path of the snake, to encircle the world under reptilian control, (as represented by the letter G, in the Masons Compass & Square symbol), goes from Jerusalem, through Kazakhstan, to UK, across to the states, then to Asia, Russia, and finally back to the middle east. It is always preceeded by the hidden rulers with settlements 100's of years before the actually visible planetary power is transferred there. [e.g: Babylonian, Egyptian, Hyksos-Hebrew, Geek-Roman, Turkish, European, English, America (America being the first national "business"-nation derived from the East-India trading company & represented by exactly the same flag. Which is also the flag of the Vikings & the Egytian Navy. Wake Up America !). 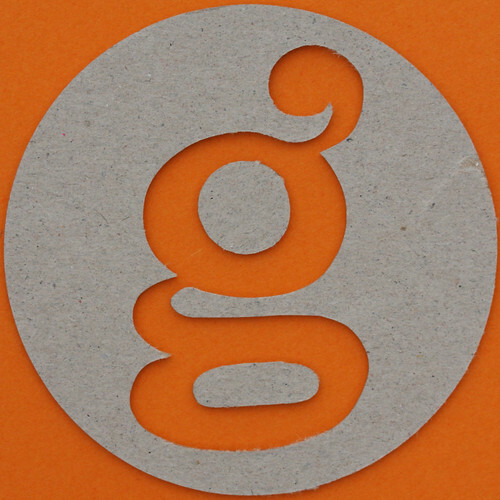 Nor is it an accident that the traditional lower-case G looks like a snake. The Khazarian Empire had religious trouble and chose Judaism as their primary religion. This was the begining of the Ashkenazi Jews who now comprise 90% of the religion. The original hebrews whose unbroken religious practice is represented in Ethiopea were only "just" accepted by Israel as being part of the religion. Please don't think I'm Anti-Semetic as I believe the entire religion is oblivious to how they have been used & that peaceful Jews are the least war-like people on the planet. Israel is oblivious to the fact that they use the symbol of Saturn as their national flag. A Rothschild family symbol which represent Saturn. (As does the wedding Ring-of-Saturn, the Ear-"ring" worn by masonic pirates & the black robes worn by all judges & graduates. The Black-Robe of Saturn & the Mortar worn on the heads of graduates inticate their indocrination to a peer group that will brook no suggestion of alternative theory beyond the "approved" plan for a given profession. The biggest adherents become the "Peer-Review" to ensure the Grand Deception continues. If you spin a bucket of liquid (say water), you will see the hexagon form. It is a known scientific fact. In the middle you can see the hexagon. Saturn is Satan. "The Grand Satam" or territorial administrator of the "Sol" system. The Zionist Elite no more believe in Judaism than they believe in Islam. To them Religion is just a tool, like Nations. A means to an end. Kazakhstan is still one of the major strongholds of the Global elite. I believed it proved to be a "safe-haven" during the great flood. (Like Tibet, South America, & Switzerland.) 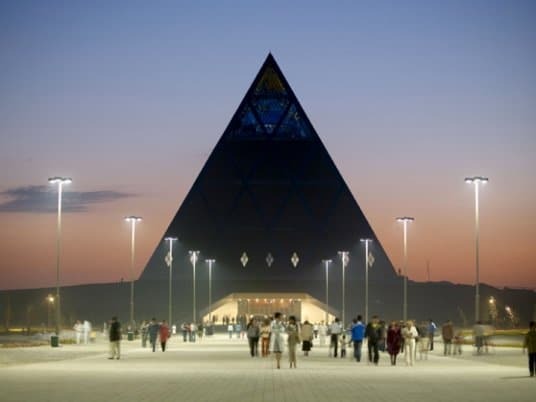 The Pyramid of One-World-Religion is in Kazakhstan on the Asian steppes. It's capstone can be lit like the Eye-of-Horus, at night. It is an elite meeting place and has nothing to do with religion at all. Once the tragedies of the next couple of years are past, survivors will see China emerge as the world leader. China has elite planetary managers (Yin family) much the same as the British royal family & the Rothschild banking empire. I suspect that none of these people are the real power. The families of real power have never been in plain sight & remain hidden in places like Norway, Kazakhstan, & remote South America. The following references provide a glimpse in to the pyramid. Sickly dripping with riches unknown to most of the world. Molechs symbol was also this hexagonal star. His agent is represented by the Owl. The watcher. Here is an excellent Alfred Webre interview with Peter Kling, a biblical scholar. It's 1hr 40 minutes but has some fascinating insight.